Inhabitots Link Roundup of the Week: Festive Finishing Touches for Christmas! 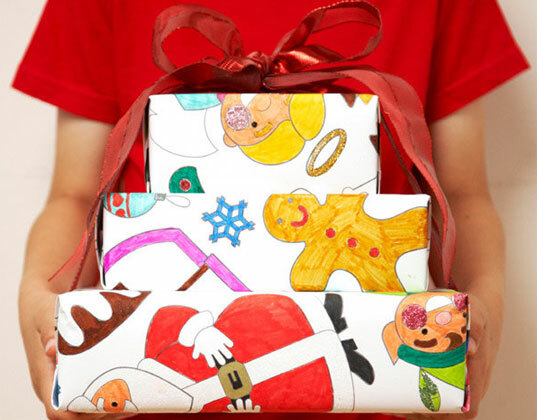 LMNOP features delightful, eco-friendly gift wrap that kids may color in themselves! Ohdeedoh uncovers magical Christmas Wichtels — house imps who leave surprises and presents around your house at Christmas time! Maya Made proves how festive and versatile cranberries can be, making simple and elegant wreaths and ornaments out of the little red fruit. How About Orange shows us how to make sweet, reusable felt gift bows to top off presents with DIY style and flair. Turn dollar bills into money trees to give a monetary gift an artistic twist! Check out this tutorial for folding bills into the shape of a Christmas tree!